To take our first 3D steps as the awakening One, as Source-in-form, requires that we step back from who we take ourselves to be. That one we’ve so long taken to be the self isn’t continuing much longer with us on this journey. That one is the price we pay for awakening. How do we do that? Good question, of course, but since it arises from the lesser self, it doesn’t pay to give it much attention. That’s tail-chasing stuff. From Heart, things are all seen with vital, important differences. There’s no “doing” here because there’s no one to “do” anything. We move from doing, via the lesser self, to Being via Who we truly are. Any doing becomes the doing of Source as we become the Divine Dance. 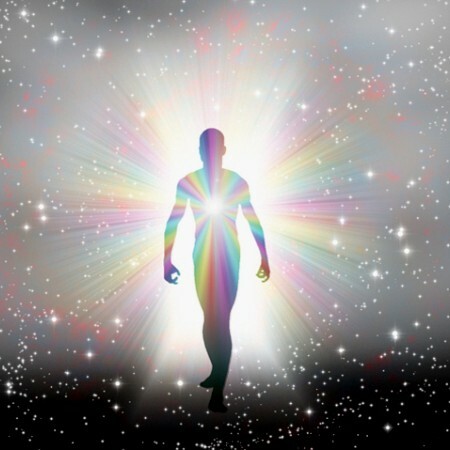 We vested too much of ourselves in the false self, & as we withdraw our investment, we’re refreshed to expand into That, into Higher Self, if you will (for no words can contain this). We’ve grown used to granting the external world full props as being the real one. Sure, it has a very clear reality, one we experience via the 5 senses, but like the false self, its reality is not eternal, not infinite like our core, our Source-in-form Reality. It’s beautiful, wonderful, ever so useful, but also transitory. We actually walk in both worlds at once, but our perception of that rests on our use of free will. When you don’t know you’re this great spiritual Being, you don’t consciously access that, you don’t focus on it. It’s there, always active, but by your free-will choice, it remains dormant to your conscious awareness. When we choose to awaken to That, oh my, our life shifts & changes in both mundane & startling ways. We continually discover how nothing is what we (as the lesser self) took it to be, how everything has much greater depth. This is a massively expansive walk, but we’re so used to being small that it often feels awkward & uncomfortable — even somewhat frightening — at first. How do we get over being small? We were never small. That’s just an aspect, a belief of the false persona. It was suitable for our journey, before, but no more. Its time is now done, but the only one who can make that choice for us is us. No one can awaken us to this, no one can live our life for us; only us. We’re both separate & One, single & whole; the Both/And. Our choice is between self & Self; or is it? Perhaps not. This is a distinctly different way of being, something we grow into. It may always be like that since our native realm is infinity/eternity. Like everything else, this isn’t anything we took it to be, this being-human thing. 😆 We’re ever so much more than we were told. We come to accept that we were lied to for so very long. At first, there may be some anger, some pain & frustration at the seeming pointlessness of it all — but we observe that, not totally diving into it. We watch it move past as clouds in the sky, not grasping. Once it passes, what remains? Not much. All resentment, all anger & frustration go from our NowHere as if they never existed. Those arose during our transition out of Either/Or-land into Both/And-ville. Other different negativities may appear, later. Such challenges arise as the mental perceptions of ego woven into the old unreality we’re still releasing. Now, we’re better able to see the overall perfection of our entire journey. The mind actually resents this at first. It seems like a condemnation of our mind’s evaluation of everything. This stage of the trek is pretty miserable & unhappy from the mind’s or ego’s perspective. Some fall into the trap, the rabbit hole of listening too attentively to the wounded ego-mind, taking it too seriously. By doing so, we maintain its presence in our world, its dominance in our focus a bit longer. That’s our right, as beings of free will. Eventually, we get it, realizing that it’s just more useless junk we need to release. “Life happens for you, not to you.” Let’s emblazon Byron Katie’s words on our conscious mind, allowing them to be the Life preserver Self throws out when lesser self is sliding down the dark rabbit holes of misery, confusion, & fear. Those are the persistent remnants of an ego-mind not entirely released. It’s not that the ego-mind will disappear, any more than the body disappears on finding our core Being. The ego-mind just steps out of its dominant role, moving to the background, playing bit parts going forward. We’re not jettisoning the mind, just demoting it, which is comforting from our mental perspective. When the mind finally learns it can’t rule anymore, it’s willing to settle for the crumbs of its demotion; NOT until. As I hope you can see, this is hugely internal work, nothing visible to loved ones & friends, much less those we don’t know. A sense of aloneness may rear its head, making us feel cut off from everyone, everything. Just observe as calmly as possible. Centering in the NowHere of Heart is awesome for this. 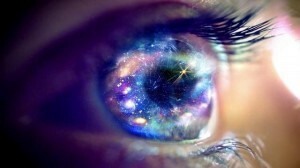 There’s a reason “alone” and “all one” are so similar to the eye, albeit so different in the feelings, the experience. We’re blind as we’re morphing, first from one to the other, but eventually, they join up as the Both/And. We are both, & what we’re experiencing is the result of our chosen focus. Something we repeatedly note along the awakening way is a sense of responsibility. We may have thought we were quite responsible, before, but as we morph we realize, not so much. Now, we find ourselves taking responsibility for everything that manifests in our life, both desirable & undesirable. Nothing is undesirable to Who we truly are. If we manifested it, we know it is happening FOR us, not TO us, so we have a more flexible perspective on it all. We look for the blessing, the benefit(s), blessed to know it’s always there. That being stunned is a good thing. It gives us pause, or rather, it gives the ego-mind pause, startling it out of its regular mode. The lesson for the ego-mind in all of this is to be less intrusive, more accepting of Heart’s rule, & more observant, itself. Acceptance plays a huge role in all of this. What we reject or disparage we actually feed, we attract, we help to grow. How? By feeding it our energies, our sacred substance. What we focus on grows so we discover the Wisdom to focus on what we desire. We acknowledge that not everything is equally desirable, but everything has the right to be, to exist. We’re co-creators, here, working together with one another whether we’re consciously aware of that or not. We grow ever more aware of the One in which no separation exists, all the while taking our seemingly individual walk. Individual it IS, yet it’s also the Both/And of the One. It’s all about our focus, friends, so let’s master that. We’re in charge of it. Let’s be the chooser of focus regardless of what others say or want, regardless of what our Belief Systems try to dictate. As we step back to calmly observe all things, our way is made clear & ever clearer. Now & again, we step into such a Clarity as is notable, being distinctly different from anything in the mind’s experience. We discover what it’s like to Know things, instead of the mind’s version of knowing. It rocks!